Brian D’Costa of Algonquin Capital, Jason Chertin and Michael Friedman of McMillan LLP, Ian Pember of Glen Williams Consulting and Charbel Cheaib of CIBC Mellon will speak to what it takes to plan and execute a start-up business plan, including registration and manager taxation and other planning issues that new managers face. Please click on the links below for more information on our current panelists. Brian D’Costa is a founding partner of Algonquin Capital; a boutique specializing in alternative fixed income. Prior to starting Algonquin Capital, Brian was the Global Head of Fixed Income and Rates for CIBC where he was responsible for the bank’s entire bond and rate trading business, overseeing 40 traders globally. Before that, Brian spent 11 years with TD Securities, where he was the Global Head of Vanilla Interest Rate Derivatives, managing trading teams in Toronto, London, Tokyo and Sydney. Before building a career in trading, Brian spent seven years in the Canadian Armed Forces where he served as a Captain in the Airborne Regiment and participated in a peacekeeping tour in Iraq. When not in the office, Brian can usually be found in the gym, at a hockey rink or undertaking an ambitious gardening project. 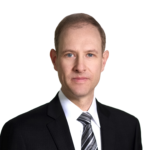 Jason Chertin is the Co-Chair, Investment Funds and Asset Management at McMillan LLP. A significant part of Jason’s practice encompasses working with investment fund managers, portfolio advisors and dealers in establishing, marketing and maintaining investment products, including privately offered domestic and offshore funds, publicly offered mutual funds and other exchange-traded funds. Jason also provides ongoing advice to Canadian and non-resident managers with respect to registration and compliance obligations, and assists clients with regulatory reviews and audits. 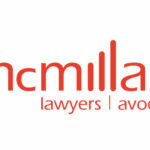 Michael Friedman is the leader of the National Tax Practice at McMillan LLP. Michael specializes in counselling investment funds and asset managers on the establishment and administration of tax-efficient investment vehicles. Michael regularly guides the formation of institutional and targeted structured products catering to a wide range of domestic and offshore investors. Michael also advises a large number of domestic investment managers retained by international investment funds. Michael has been an active member of the McMillan Tax team that has stood at the forefront of the development of tax-efficient investment fund structures, including Master-Feeder funds, switch funds, and specialized return funds. 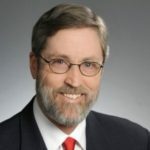 Michael has broad experience, and has enjoyed great success, representing clients in resolving tax disputes with both the Canada Revenue Agency and the provincial revenue authorities. Michael has appeared before both the Tax Court of Canada and the Federal Court of Appeal. Charbel is responsible for CIBC Mellon’s Alternative Investment clients as well as aligning the organization’s service offering with the needs of industry participants as they evolve with changes in regulation, accounting, and market conditions, among other factors. 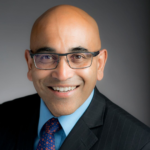 Prior to joining CIBC Mellon in 2010, he worked in progressively senior roles at KPMG performing audits and other engagements in the Investment Funds practice for domestic and international hedge fund clients. 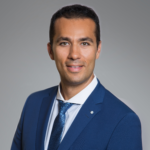 In addition to having over 16 years of experience in the financial services industry, Charbel is a Chartered Professional Accountant and earned his Bachelor of Commerce degree from the University of Toronto, with a focus on Management, Economics and Accounting. He is actively involved in a variety of regulatory and professional initiatives related to the asset management industry. Full series pricing available until September 27, 2018. Registration is required as capacity is limited. For more information, please contact Caroline at caroline@caasa.ca or 647-953-0737.